This wooden shield is inspired by the ancient Egyptian Jackal headed god of the dead. 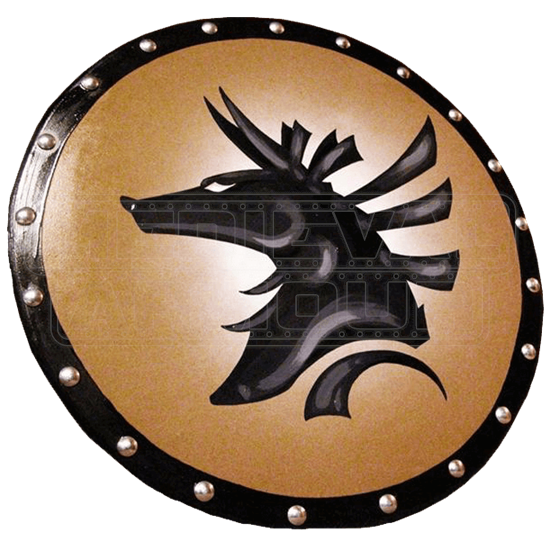 The Anubis Shield is made out of 0.5 inch thick smooth composite wood, which is considerably stronger and more durable than plywood. This wooden shield features a completely hand-painted design over an airbrushed background. Dual leather straps are used to comfortably secure the arm along the back. The Wooden Anubis Shield has also been applied with several coats of varnish to further protect and preserve it from wear. This Wooden Anubis Shield measures about 25 inches in diameter. 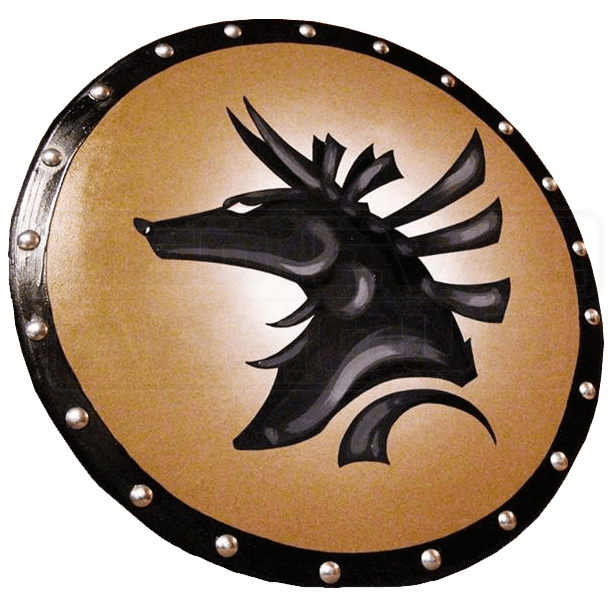 The Wooden Anubis Shield would be perfect for upcoming Renaissance fairs, theatrical productions, light sparring or medieval reenactments.